This article was originally published on SelfGrowth.com. The No. 1 reason companies lose their sales talent is that they’re deal killers. therefore aren’t focused on helping their sales teams get deals done. What they are worried about is making the perfect deal. They nitpick all the elements each prospective deal they evaluate doesn’t include. But it’s critical to remember that great salespeople want to close deals. They thrive on it. It’s the reason they are in sales in the first place. It’s not for the money (though the money is nice). They do it for the thrill they get from closing a deal and from the competition aspect of the job. If your company inhibits the closing of those deals in any way, you will be wearing your salespeople down — especially the great ones. The bottom line is, your great salespeople all thrive on the same oxygen: closing deals. If you deprive them, they will leave — and frankly, they should. The core problem here is that deal-killing leaders don’t think they’re deal killers. They think they’re in the right and that their salespeople aren’t “selling value.” Instead of focusing on the money the company makes from a sale, deal killers see only the amount the company loses if each element of the sale isn’t absolutely perfect. These leaders often dwell on how little profit they made on previous deals and are constantly overwhelmed with seller’s remorse. Oftentimes, a deal killer has never — or at least hasn’t recently — been on a sales call. Deal killers believe sales is just ringing up orders on a cash register. They have no clue how difficult and nuanced sales can be. And this isn’t a small problem: CEOs as a group are becoming more distant from sales, and they continue to be disconnected from their employees on the whole. Dealing with sales is hard, especially without a sales background. The further a leader is from the sales process, the further he is from understanding its difficulty. At that point, he’s probably looking at sales as just a line item on a spreadsheet. This attitude creates an atmosphere that’s not conducive to helping salespeople thrive in their positions with the company’s support. If you want to hang on to your top sales talent, here are a few strategies you can implement to ensure you’re not a deal killer — or to combat your deal-killing ways. 1. Approve a break-even or less profitable deal if you’re in a slump. Sales is a momentum game. From the outside, it might not seem like it, but it’s true. So if your team or an individual salesperson is in a slump, feel free to give the OK on a deal that isn’t as profitable as you might like. It will not only help your momentum, but it will also let the members of your sales team know that you feel their pain, that you care about them, and that you have their backs. As a CEO, I often take sales calls, and I encourage you to do the same. Why? First off, it keeps me connected to the market, which helps me do my job better. But, perhaps more importantly, it grounds me and reminds me just how difficult closing a sale is. As a bonus, I think my salespeople respect that I am willing to get in the trenches with them. Take some sales calls yourself, and you’ll get there, too. 3. Spontaneously treat your sales team to a night out. Salespeople are typically social creatures — this we all know. What’s less commonly known is that salespeople also need a lot of love. Think that money substitutes for that love? It does not. Salespeople need and deserve appreciation for their efforts that goes above and beyond money. A spontaneous dinner or happy hour outing can be just the ticket. Plus, you’ll likely get some great insights you wouldn’t get in the office. 4. Involve salespeople in major company decisions. I’ve encountered an ethos floating around that sales teams all just sell what they are told to sell. This can give salespeople the impression that they aren’t part of the overall business — they’re just part of the sales team. It’s critical that your sales team and business are one and the same and that everyone understands it. Bringing salespeople in to help make important company decisions can be a nice cure for this ill. If you think you might be a deal killer, don’t lose hope yet: You can still make some changes to prevent all of your best salespeople from leaving your company in the dust. 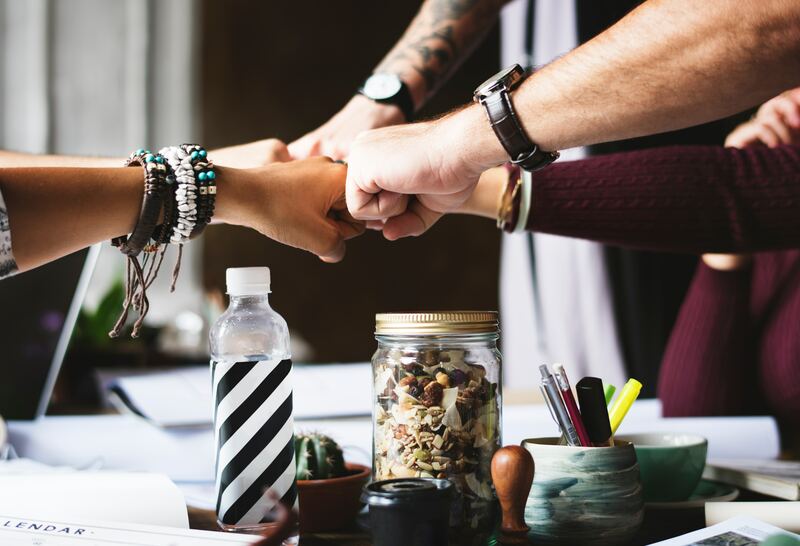 Use these tips to build (or repair) the connection between yourself and your sales team, and together, you’ll move your company toward more closed deals and increased growth.